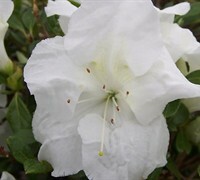 Autumn Princess Encore Azalea is a moderate growing shrub that can be grown in USDA Plant Hardiness Zones 6B through 10B. It prefers growing in a location that provides morning sun with afternoon shade or filtered sun and grows best when planted in loam or clay soil that is well drained or moderately drained. It attracts butterflies and visual attention and is resistant to diseases and heat. 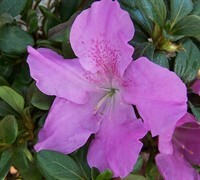 Autumn Princess Encore Azalea can be useful in the landscape in mass plantings, in foundation plantings, in containers or planters, in shrub borders, around decks, swimming pools, and other outdoor living areas, as a focal point, in landscape beds or islands or as a hedge and also in theme gardens or cottage gardens. 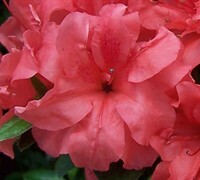 Autumn Princess produces an abundance of striking, salmon color double blooms in spring and fall and sporadically during summer. Its color show doesn't end with the blooms..during winter the foliage turns a gorgeous burgundy hue. USDA Zones 6B-9. 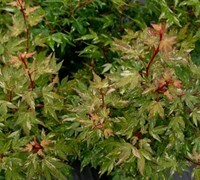 With a height of 3.5 feet and spread of 3 feet, Autumn Princess is useful under windows in foundation plantings, in small or large groupings in landscape beds, as an informal colorful low hedge, or singularly in containers. 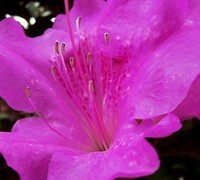 Encore Azaleas prefer a an acid soil that contains plenty of organic matter and is well-drained. Encores will tolerate all-day full sun however will also tolerate some shade. Too much shade and flowering will be diminished. 5 hours or more of direct sun per day is recommended. A light pruning and feeding after the first bloom phase can help stimulate new growth and encourage heavier bud development. 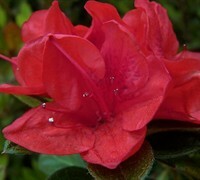 With Flowering Shrubs You Can Have Year Round Color! Great plants and great website! Impressed and will order from you again! 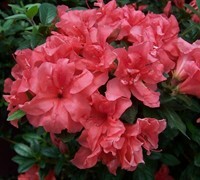 Love my Autumn Princess Encore Azalea! Arrived fast and in perfect health! Thank you!! Very happy customer.My plants arrived in great time and healthy. 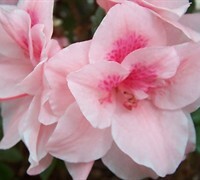 Very pretty Azaleas. Will order more. Azaleas were packed well and all looked to be very healthy! Very pleased with the whole experience!